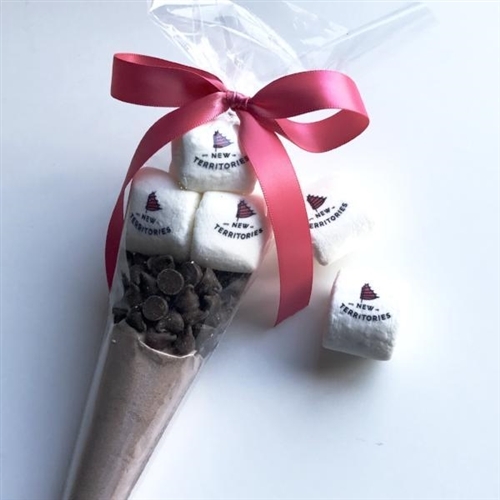 Our branded Hot Chocolate Cone is sure to please! We put our twist on this classic holiday treat. 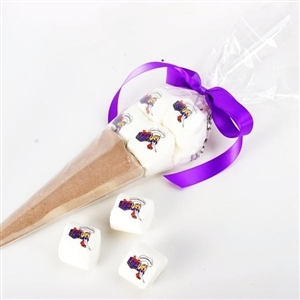 Each cone contains enough rich chocolate mix to make 2 decadent cups of hot cocoa. Also included are premium chips of chocolate as well as our signature 1" ImageMallow Marshmallows. Both make sweet add-ins for the timeless beverage.